DETROIT (WXYZ) — Name pretty much any sport, and Keven probably loves it. The 17-year-old is a fan of football, basketball, baseball and then some! “He likes participating in Special Olympics basketball and baseball,” said Keven’s worker. He likes to be outdoors and staying active – everything from hunting to fishing to bike riding and swimming. Like most any teen, Keven appreciates a good video game. He also enjoys watching WWE on TV. “Roman Reigns” is his favorite wrestler, and he even looks up to him as a father figure,” said Keven’s worker. “I like rap, and I like some country. I like some old music -- Queen and the Beachboys,” he said. His favorite food is mac ‘n’ cheese. His dream vacation is to warm and sunny Florida. He also adores cats and dogs. “I would like to have sisters, brothers, dogs, and cats,’ he explained. “I want to live in a home instead of a group home,” he said softly. He is looking for a Mom and Dad who would welcome him into their family. 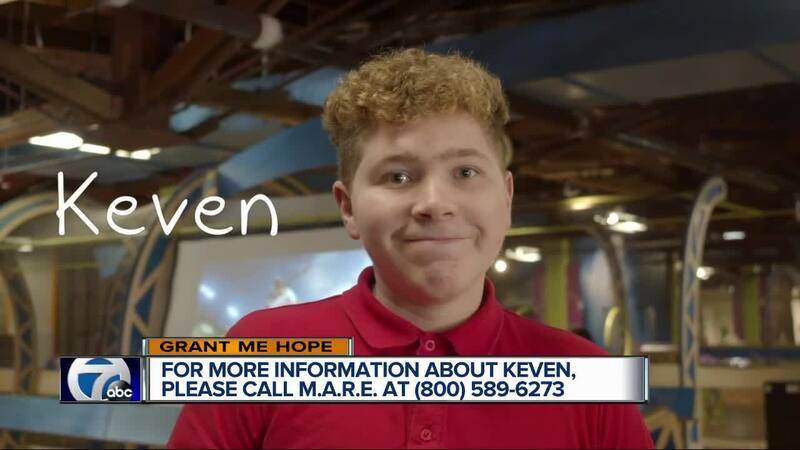 If you’d like to learn more about Keven, please click here. You may also contact the Michigan Adoption Resource Exchange at (800)589-6273. If adoption is not in the cards for you, but you’d like to help…please share this video on social media. Thank you!